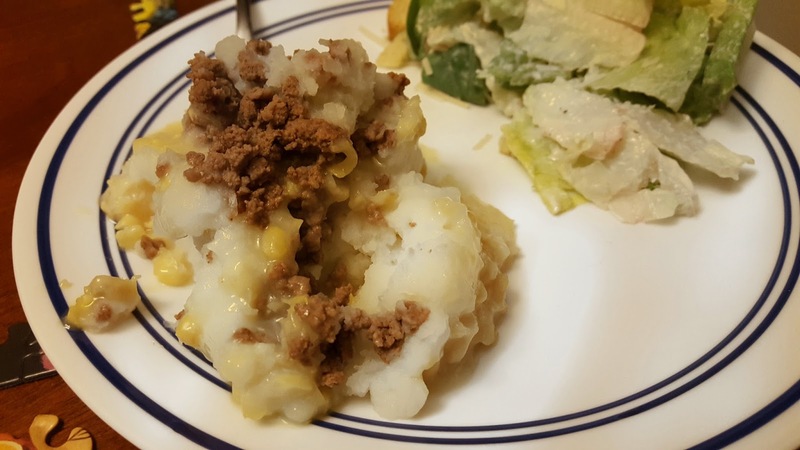 I know we all have those dishes that totally sum up our childhood and that we can remember being such a staple in those early years. 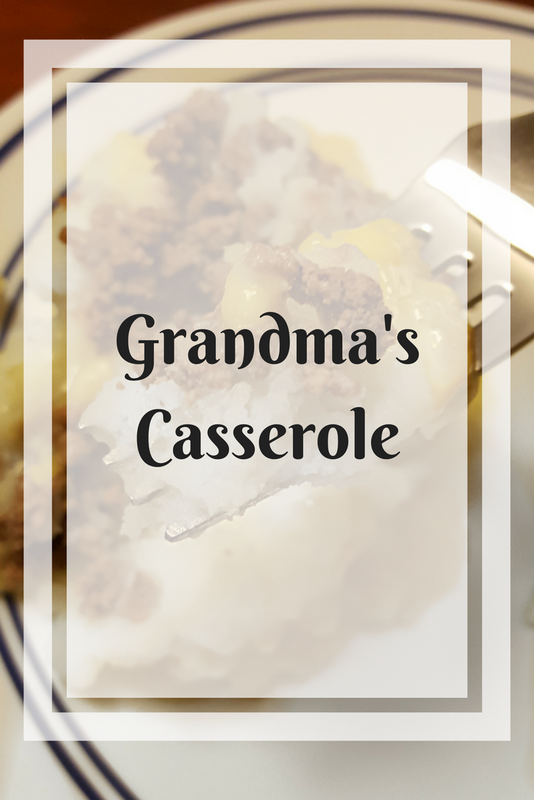 Grandma's Casserole is that dish for me and my family. It's like a warm hug on your plate and immediately brings back so many memories, I can literally picture us sitting at the table in each house we've lived in eating this dish. I've posted this recipe before but since then I've totally upped my photo skills and thought I'd update this post! 1. 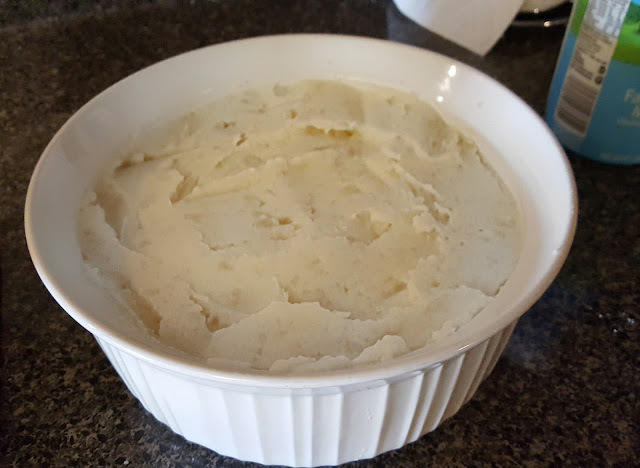 Pre-heat oven to 365 degrees. 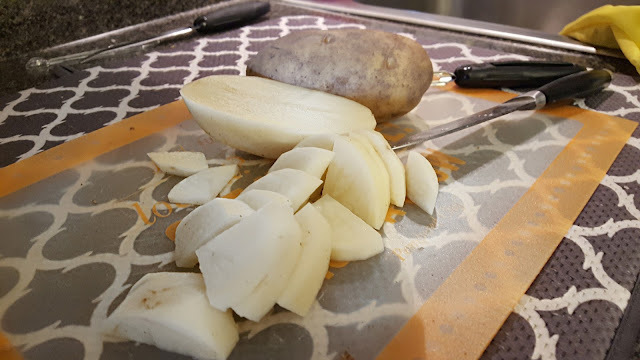 Peel and cut up potatoes. Then add them to the pot of water to boil. 2. 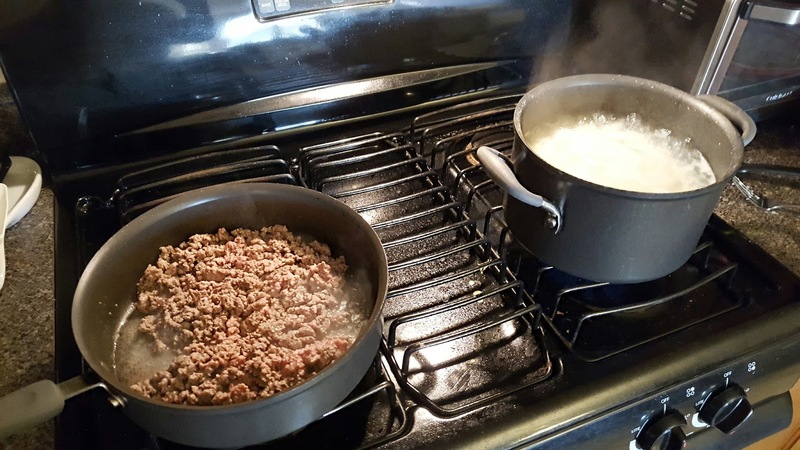 While potatoes are boiling brown the ground beef. 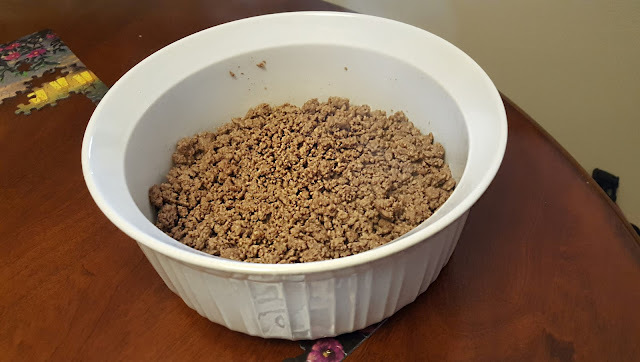 Flavor ground beef with onion powder and garlic powder. 3. Mash cooked potatoes mixing in butter and milk. Everyone has their different amounts they like to put in so it's up to you. 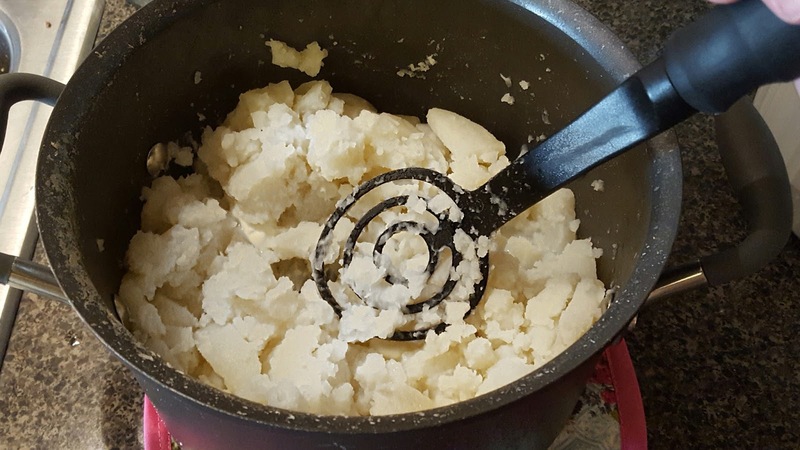 In the end you want mashed potatoes. 4. 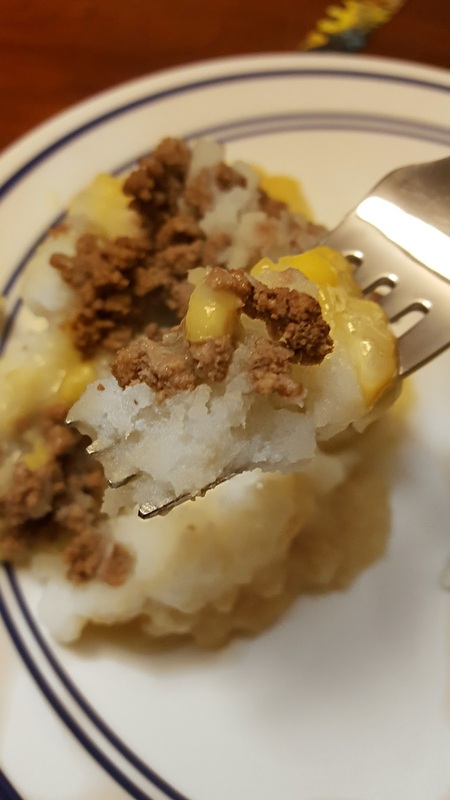 Spread cooked ground beef on bottom of casserole dish. 6. 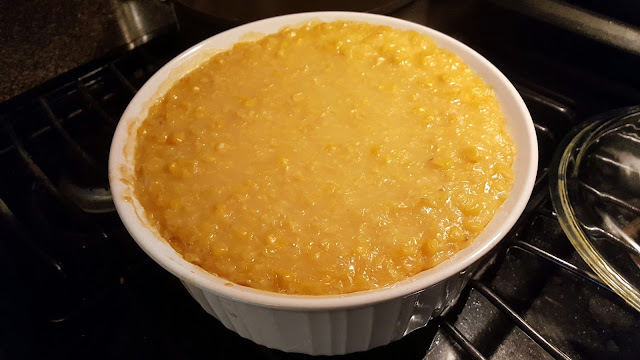 Pour creamed corn on top of potatoes and put into over for 30 minutes. You can cover the dish or leave uncovered.